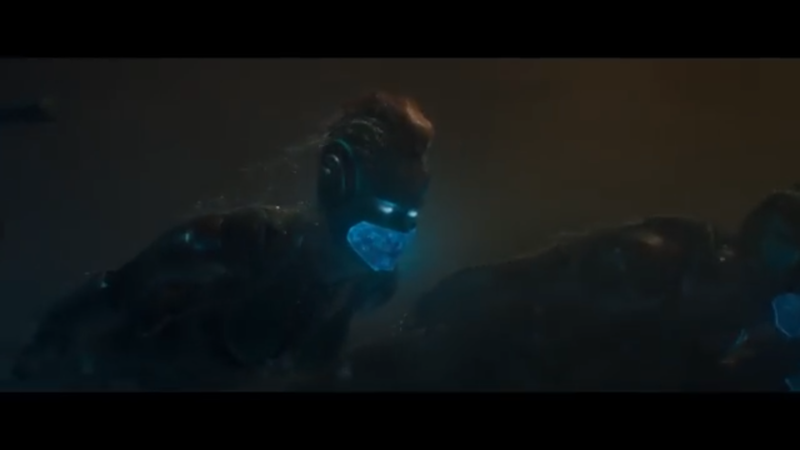 Marvel Studios just dropped the Official Captain Marvel Trailer – All of My Issues! The first trailer has just been dropped. It looks awesome, but there are a few things to point out. Blockbuster, granny punching, and a hero emerges. Let me explain. First off, Blockbuster is prominently featured in the first few seconds. It looks as though Captain Marvel crashes through the roof of one. This gives us a sense of the time frame of the movie. It takes place in a past where the prominent blue and yellow sign can still be seen adorning storefronts. No secret here. It has been clear that Marvel wanted this film to take place in the not-so-distant past. These stores are all but gone now. That is, they’re all gone except for one franchise-owned store in Bend, Oregon. As of July 18, 2018, that is the last location opened in the United States. The owner has stated that he has no intention of closing any time soon. If you live in the area, why not give them a little business. The trailer appears to be hinting at a story that would lead to Captain Marvel becoming a hero. They do an excellent job of presenting that to us. It just seems that there is one moment in the trailer that might have been edited a little better. Right after the screen fades away presenting us with a slick transition that shows us the word “her” become “a hero”. A moment later, we see a quick glance of a Skrull. This is then immediately followed by a shot of Captain Marvel punching a old lady. This unintentionally hilarious moment is clear to many Marvel fans. Skrulls are shape-shifters that can look like anybody, but I’m not sure that the casual fan is familiar with them. I’m sure this scene works well within the context of the movie, but I think maybe it should have been cut differently so that it doesn’t give the appearance that Captain Marvel randomly punches grannies. Despite that moment, the trailer looks awesome. It just makes us all the more excited to see what happen in the film. Also, we get to see a younger Nick Fury and Phil Coulson. Check out the trailer below . . .